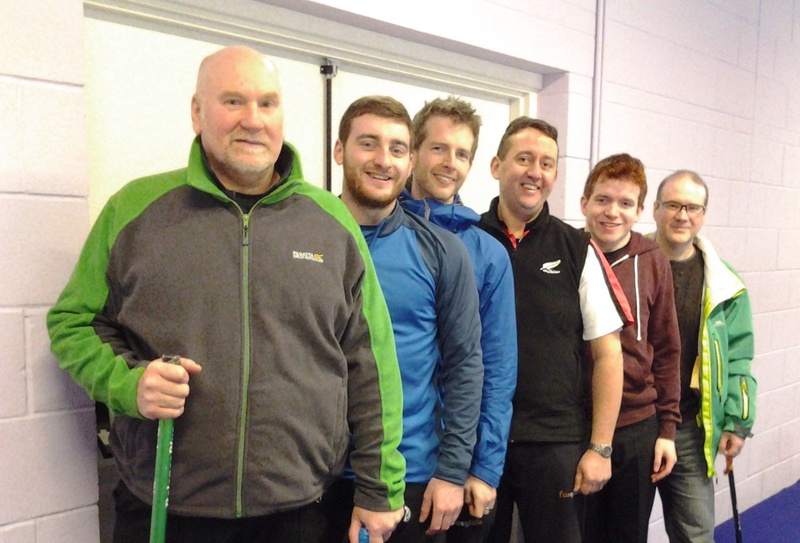 The dust has now settled after last weekend’s Irish men’s championships and playdowns for the European C League, so both skips can reflect on what happened at the Ice Bowl in Dumfries when Team Wilson beat Team Kenny 3-2 in a best of five challenge. Asked for his thoughts on the weekend, Team Kenny skip Johnjo said: “It’s very disappointing always to lose. The guys have put in a lot of work and a lot of commitment over a couple of seasons now but over the weekend it wasn’t to be. There were a lot of mitigating factors of course, there always are. My continued ankle problem (which will now get an extended rest), James’ exams causing him to miss a couple of the games and John’s respiratory tribulations, but over the piece the other guys played well. Peter was solid throughout and skipped the team superbly and Andrew came up with two unbelievable shots in game four that changed the course of the championship.